Recruiting male staff can be incredibly challenging. For whatever reason men are not becoming teachers, nurses, camp counselors or engaging in other helping professions as much as women are. Below are 25 ideas to try to help you get a jump start for recruiting a couple male staff. I don’t think there is a silver bullet for this. 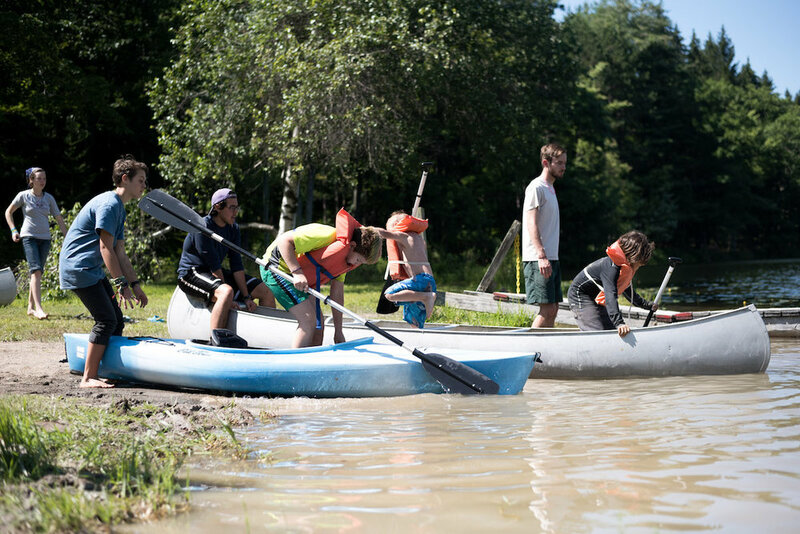 No one of these will net everyone a bunch of staff, but by starting with these and continuing to work on camp culture, living wages, and personal connections you can begin to add up to a camp that doesn’t struggle to for male staff every year. Some camps have plenty of male staff, and there are plenty of college age males out there. What can we do to connect with them and create a space where they want to work? Let’s do it! 6) Get an alumni male staff to write a blog post about how he is a better dad/teacher/etc because of camp. Then send it to local teachers colleges or whatever the topic of his article is. 7) Call all of last year’s male staff that aren’t returning and ask for feedback. Then beg them to come back. 8) Create a referral system for recruiting staff. You get $100 per staff that finishes the summer. 10) Is there an all boys high school in your town? Connect with their leadership council. 11) What is special about your camp? Very outdoors focused? Soccer camp? Liberal values? Make a list of what is different about your camp and another list about what college clubs have similar interests or values. Contact all those clubs at your local colleges. 12) Run targeted Facebook/Instagram ads at men ages 18-22 with those same interests in your area. Make sure the creative (what the ad says) confirms something you already know about who you are targeting. IE: target men interested in social justice with an ad that says: DO YOU BELIEVE IN SOCIAL JUSTICE? WANT TO MAKE AN IMPACT THIS SUMMER? Work at Camp Compassion this summer. Picture of a male staff connecting with a kid. 13) Print you should work at camp business cards and hand them out to all your supporters to share with all the nicest young men they meet. 14) Get all your current local staff to come to a big and simple kickball tournament on a Saturday. Tell them to bring as many friends as they can and supply food, maybe free t-shirts. 15) Send all your current staff posters that say “Great Men Work At Camp (yourcamphere).” To hang in their dorms/houses and ask them to put them up. Maybe include a t-shirt. 19) Instagram/ Facebook Live with a male staff member about his summer at camp and why he loved working at camp. Share. Many of these ideas were shared by The Summer Camp Society Members in our community forums. Where conversations and ideas like this build on each other and develop long term friendships and connections. Learn more about our semester long programs and lifelong friendships below.